1919 — Around a Child with a Dog. Oil paint on canvas. Post Impressionism style. 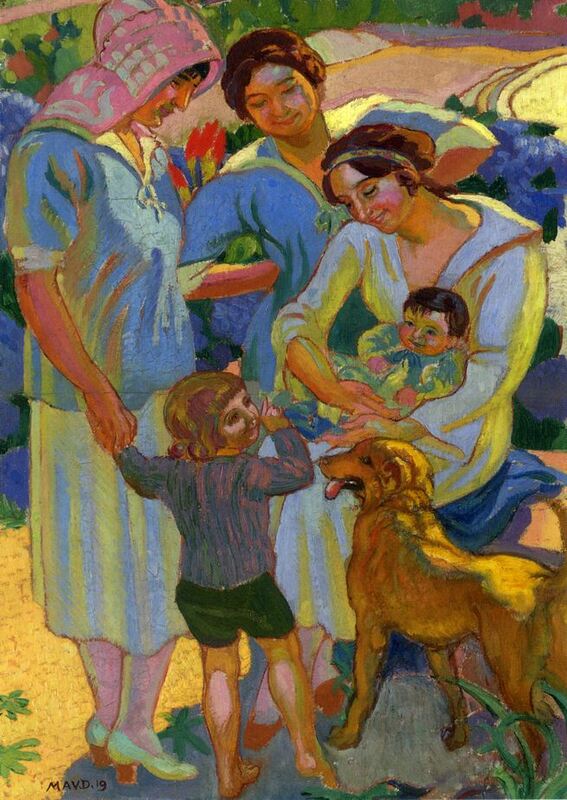 Maurice Denis (1870-1943). Private collection. 1931 — Fair. Oil on Canvas. Post-Impressionism style. Arturo Souto (1902-1964). Bilbao Fine Arts Museum, Bilbao, Spain. 1892 — The Card Players. Oil on Canvas. Post-Impressionism style. 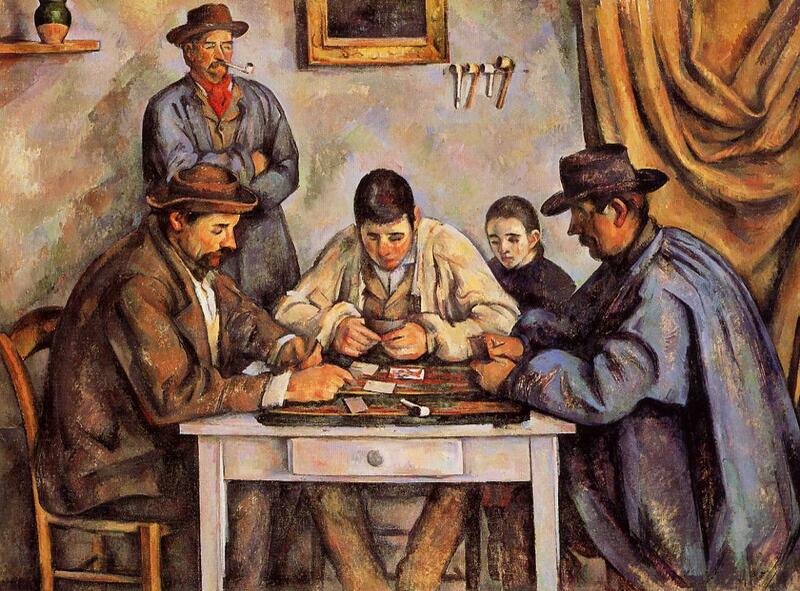 Paul Cezanne (1839-1906). The Barnes Foundation, Merion, Pennsylvania, USA. 1908 — Woods near Oele. Oil on Canvas. Post-Impressionism style. 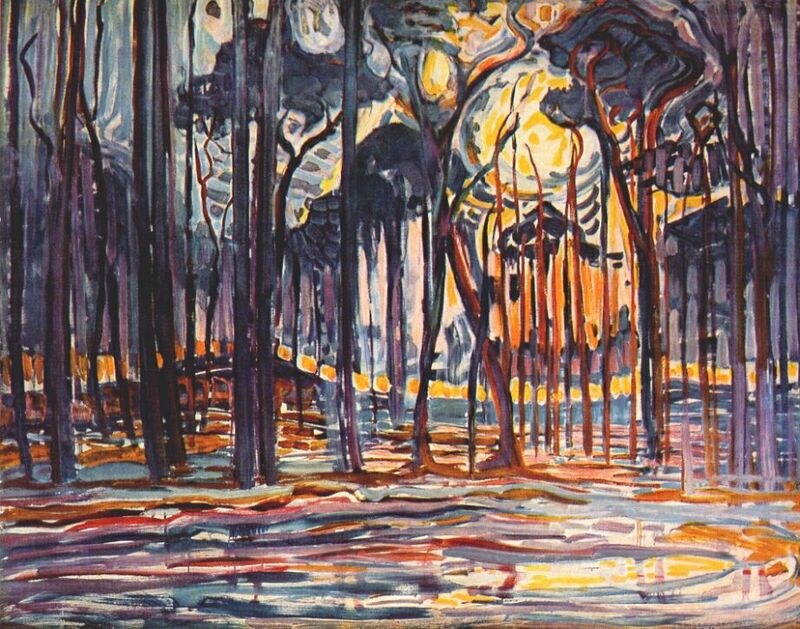 Piet Mondrian (1872 – 1944). Haags Gemeentemuseum, The Hague, Netherlands. 1916-1920 — Earthly Paradise. Oil on canvas. Post-Impressionism style. 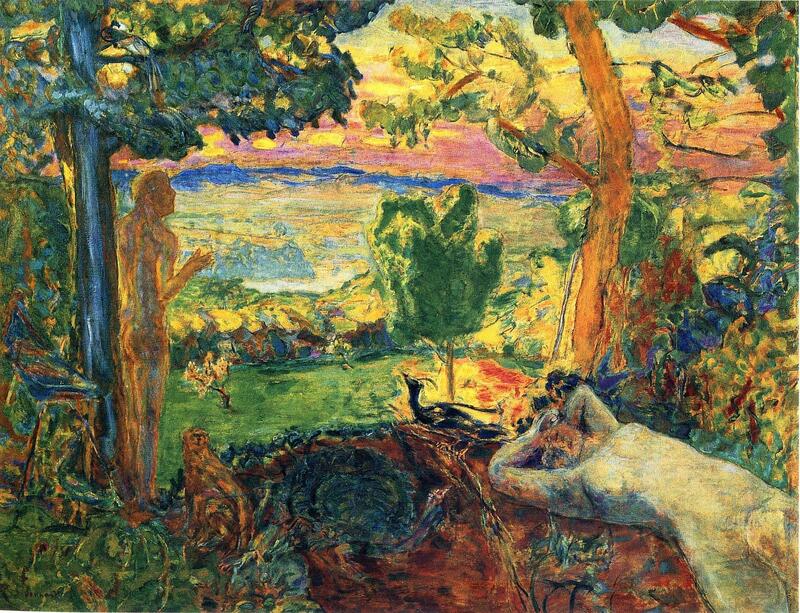 Pierre Bonnard (1867-1947). Collection of the Art Institute of Chicago, Chicago, Ill., USA.